Matilda The Musical is set to tour the UK and Ireland for the first time from March 2018, and will include educational programmes at each location, suited for schools. The tour will launch at Leicester Curve on 5th March 2018 and will visit other locations including Dublin, Sutherland, Milton Keynes, Manchester and Cardiff. Further dates and locations are to be announced. Each location that the show visits on the UK and Ireland tour will be accompanied by a new education programme to inspire schools. Included in these programmes is a travelling library of stories led by character Mrs Phelps, and whole school takeovers of the show. The Royal Shakespeare Company, which produces the show, aims to reach more than 15,000 children, in collaboration with touring theatre partners. More details of the education programme are to be announced. Matilda The Musical follows the story of a young girl who is constantly overlooked and belittled by her cruel parents, the Wormwoods, and her terrifying headmistress Miss Trunchbull. As she dreams for a better life, her unique abilities see her stand out and fight for what she wants and change her own destiny. The musical has a book by Dennis Kelly, original songs by Tim Minchin, and is directed by Matthew Warchus. 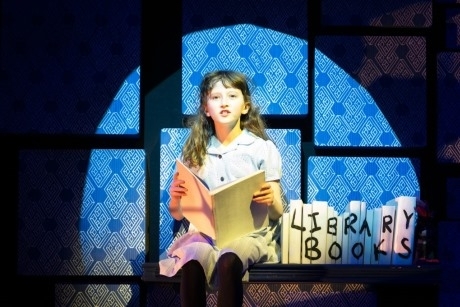 The show is inspired by the popular children’s novel Matilda by author Roald Dahl. For more information, visit uk.matildathemusical.com/tour.